Is a Harvard degree worth paying so much? 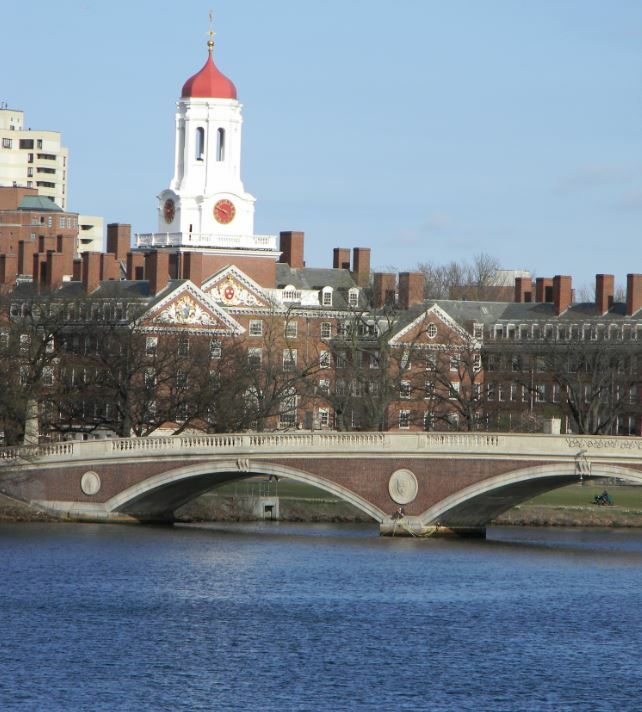 If you’re selected, with all the expenses incurred, is Harvard worth it? How soon will you be able to get returns on your investment? Let’s take on one of the trickiest questions I get asked, one that I asked before making my decision, too. In years past, students graduating from the program have been very successful in finding post-graduate employment, but new graduates are already facing much greater challenges due to rising unemployment rates. You should be prepared to be very self-reliant in searching for post-graduate positions, as few such jobs are secured through on-campus recruiting. As to whether or not the program offers a suitable return on investment, only you can make that determination. However, currently enrolled students are generally of the opinion that despite the current economic difficulties, the program has enhanced our development in ways that will be highly beneficial over the course of our careers. I would encourage you to consider this proposition from both immediate and long-term perspectives. Is Harvard Worth It? But Compared to What? You also need to consider what you’re comparing it against. If you’re comparing its cost to benefits to other universities, it’s more than worth it. The tuition for lots of universities, especially Ivy leagues, costs more than that of Harvard. A simple comparison of tuition fees with other universities you’re applying to can give you a good idea. Secondly, you can also compare what kind of financial aid those schools offer. 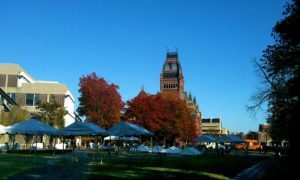 Harvard University has one of the biggest pools of financial aid for students available in the country, and even offers aid to international students. Additionally, an Ivy league degree, especially from Harvard, instantly puts your resume at the top of the pile when applying for any job. It opens doors for you, making many opportunities easier to grab, throughout your life. However, you may be asking if getting a degree, any degree, is worth it at all. In that case, the answer is a little tricky. The rising costs of education are making it tough to justify the benefits of getting a degree, especially a masters degree. Jobs are not as easy to come by, even those that are available are tough to qualify for or may not be in your field of choice. In fact, you can’t even guarantee that you’ll be able to pay back your Harvard expenses within a couple of years. One doesn’t get a Harvard degree like an asset that can appreciate and later be sold for profit. So a cost-benefit analysis doesn’t even work. For an experience that may change your perspectives, your lifestyle, asking if it’s worth $100,000 is not even asking the right question. Personally, I wanted to go back to school, and that’s why I applied for a masters program. But I didn’t want to go just anywhere. 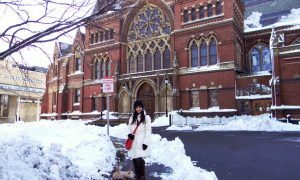 I wanted to go to Harvard – somewhere that had history and tradition, somewhere I could be around people who I could be inspired by all the time. I was curious, as I am even now. I wanted to absorb knowledge, not just in classes, but even while meeting people, observing different cultures, opening my mind on the possibilities the world had to offer. 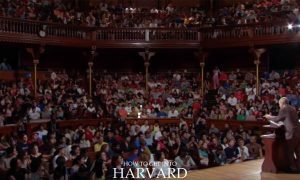 There are so many reasons to attend Harvard other than the amount of money you’re eligible to make once you get a degree. Financial aid, historic housing, iconic campus, age old traditions, a mind-boggling variety of classes, extra-curricular activities that you’ll never get bored of, infinite clubs, inspirational people, a beautiful location, the list goes on. Simply said, an experience like this can change you as a person, the way you think and work. It can only change if you immerse yourself in it. And if you’re willing to learn. 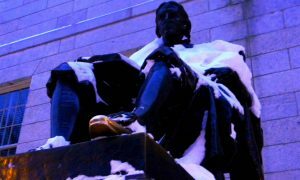 So you really need to ask yourself before making your decision on accepting your place at Harvard. Do you really need a degree? Can you spend your time in a better way? Will being around intellectual minds enrich your life? 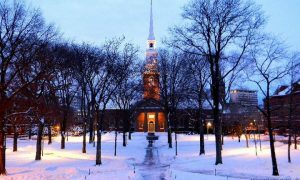 Do you want that Harvard student experience before you’re too old to enjoy it? Is Harvard worth it for you? Only you can make that decision for yourself! Hope this guide was helpful!